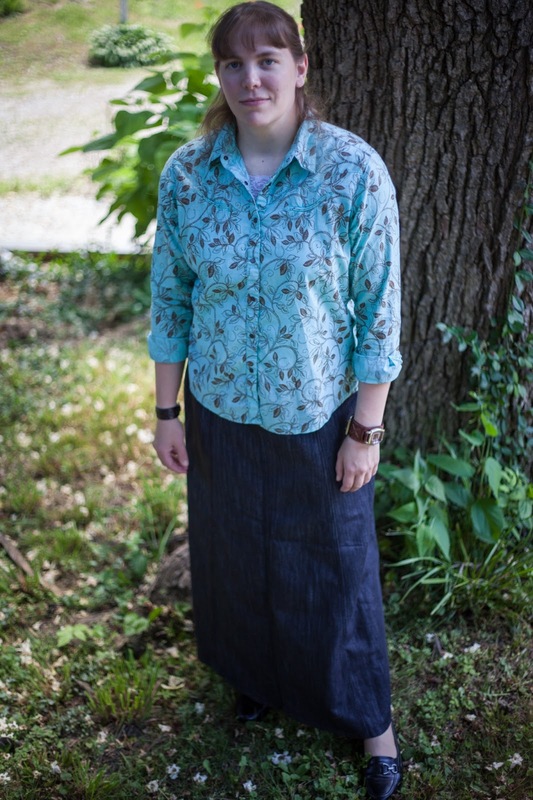 Denim skirts are my go-to for any occasion. I have casual ones for around the house, nicer ones for running errands, and a few dressy denim skirts for Church and other places that require a bit more style. However, finding denim skirts that are long enough for my preference can be a bit difficult! I'm 5'7, so even the average long skirt doesn't quite hit my ankle, which is what I prefer. 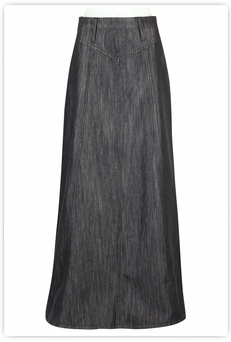 I recently discovered a website that offers a complete selection of long, modest, denim (and other material) skirts. Including skirts that are ankle-length - even for me! The Skirt Outlet is a company that specializes in, you guessed it, skirts. They have women and girls available, and I love that they carry so many different brands. No need to shop all over the web now, The Skirt Outlet has done all the work for you, and you can browse the best skirts available in on one site. You can shop casual or dressy skirts, maternity, knit skirts, plus size, or place a custom order. 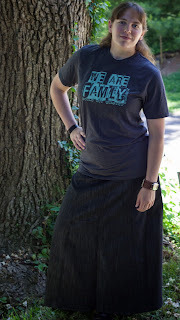 I was able to choose a skirt for review from The Skirt Outlet, and I did some browsing before finally deciding on the Shimmer Black Long Denim Skirt. The turnaround time on receiving my skirt was surprisingly fast. The skirt arrived very fast after ordering, which is something I always appreciate. Many times you place an online order and it takes several days before shipping, then the shipping seems to take forever. The Skirt Outlet ships Priority mail, so it's a very fast process. When the skirt arrived it immediately became my new favorite! The measurements provided online were perfect, and it fits just right. This is a very lightweight denim, yet because it's denim you know it will last a long time. The shimmer isn't overdone, which I was a little nervous about. It definitely adds a dressy touch, but it's not so loud you feel self-conscious while wearing it. The 39" length is perfect for me in flats, but it also pairs well with boots. 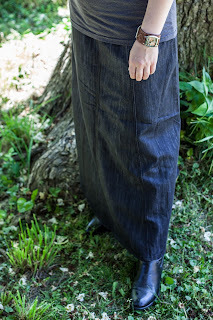 There's a zipper and button closure in the back, and no pockets, which combined with the A-line style gives it a slimmer silhouette than most denim skirts. 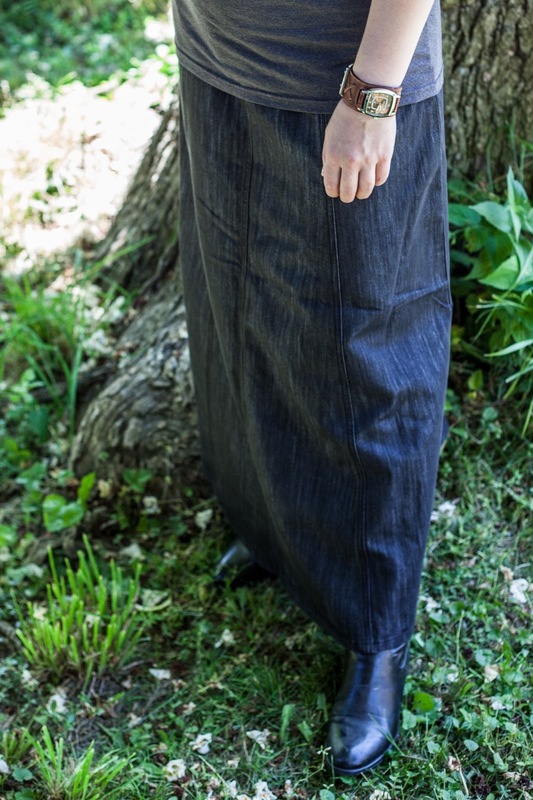 I love the western-style yoke waistband (yes, I'm a fan of the western look). As I mentioned, the sheen gives it a touch of glamour, so it's perfect for Church and other dressier occasions. 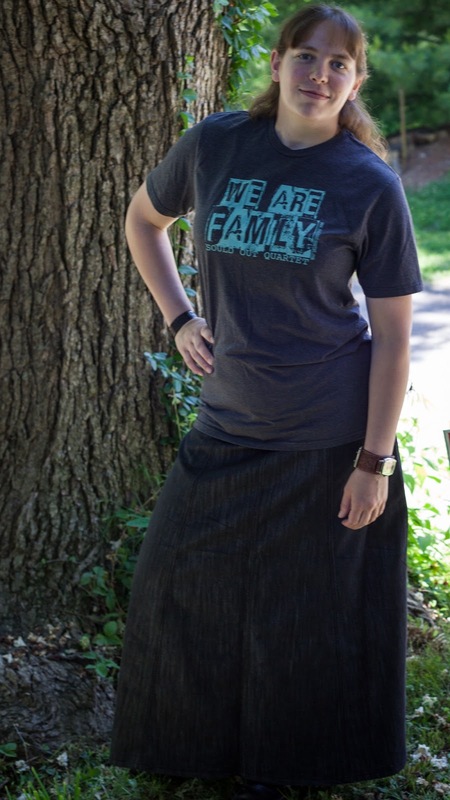 I'm absolutely thrilled with my new skirt from The Skirt Outlet, and this is a site I'll be checking out whenever it's time for a new addition to my wardrobe. I highly recommend both the product and the fast service, so be sure to check out their website today. You just may find yourself ordering a new skirt or two! That is a really nice looking skirt! Oh! Yes! I visited the website, and I loved it!